During working hours, Staff Sgt. 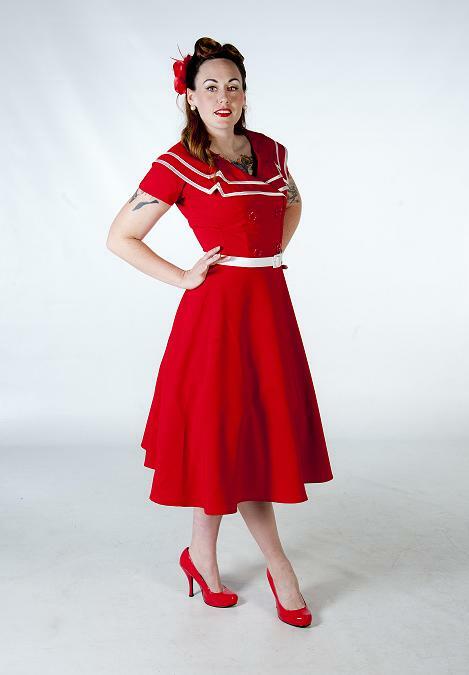 Destini English is a mental health technician, but when she’s off duty, she poses in photo shoots for charity as Jaynee Lou Jeepers, a “pin-up girl” from the 1930s, 40s and 50s . English, who is outprocessing from the 99th Medical Operation Squadron at Nellis Air Force Base, Nev., joined the Air Force in 2006 and went on to be named Miss Glamour Doll 2012 in a competition that raised nearly $50,000 for veterans hospitals, according to an Air Force news story. She first appeared in The Hollywood Razzle Dazzle competition in California, which required contestants to wear 40s or 50s garb and answer questions about what they’ve done to help veterans and the military community, the story says. “I was really, really nervous and the night before the competition I was like, ‘I want to back out. I really want to back out,’” English said in the story. “My husband told me ‘No, you’re going to do this,’ so I did. When she’s not looking glam, English is a mentor for the Tragedy Assistance Program for Survivors, a nonprofit group that helps families who have lost loved ones in the military. English has mentored a teenage girl from Virginia whose father was killed in 2005 in a vehicle accident in Iraq, Neiberger-Miller said.